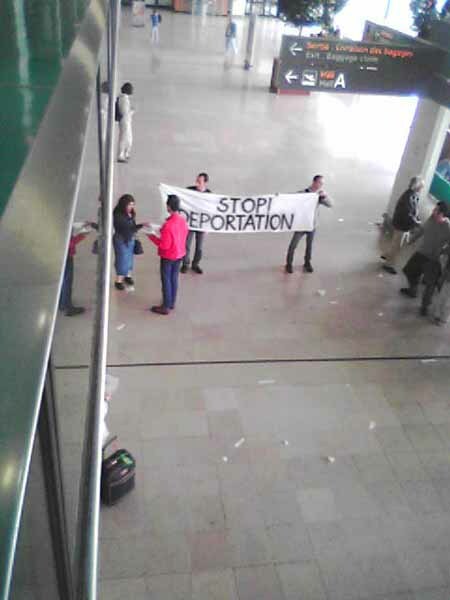 The demonstration lasted over two hours with the slogans "Deported foreigners are assassinated foreigners", "No to the deportations, regularizations of all sans-papiers". 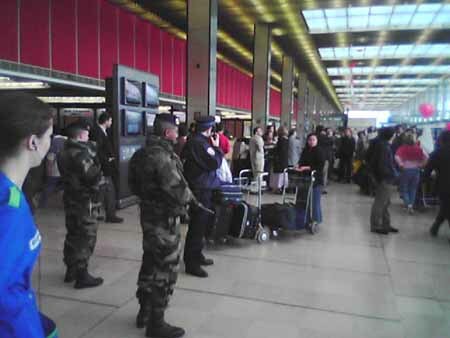 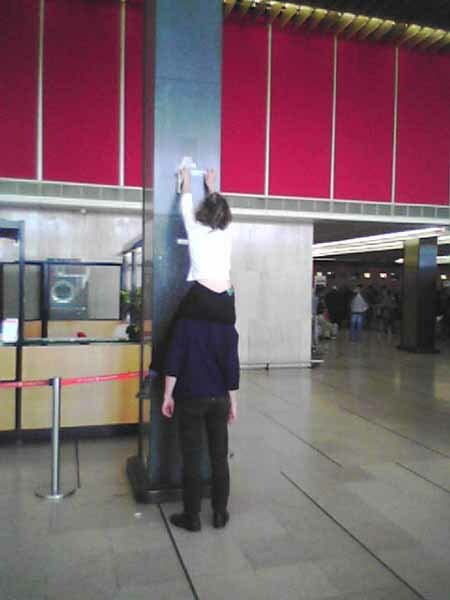 The airport was decorated with stickers, especially the desk of FRAM, a tour operator which is the main patron of Euralair, which rents charters for the expulsions. 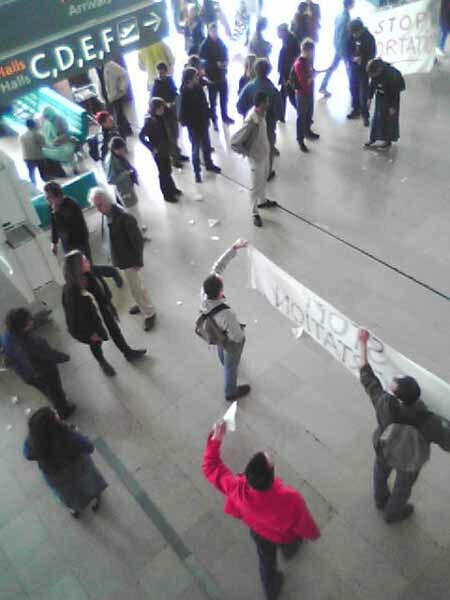 The same slogans in Arab, Kurd and Turk were sent to the ceiling of the hall of the airport.